Have you ever thought about what lies in the less popular spots in Seoul? If so, go grab a bike and find out. 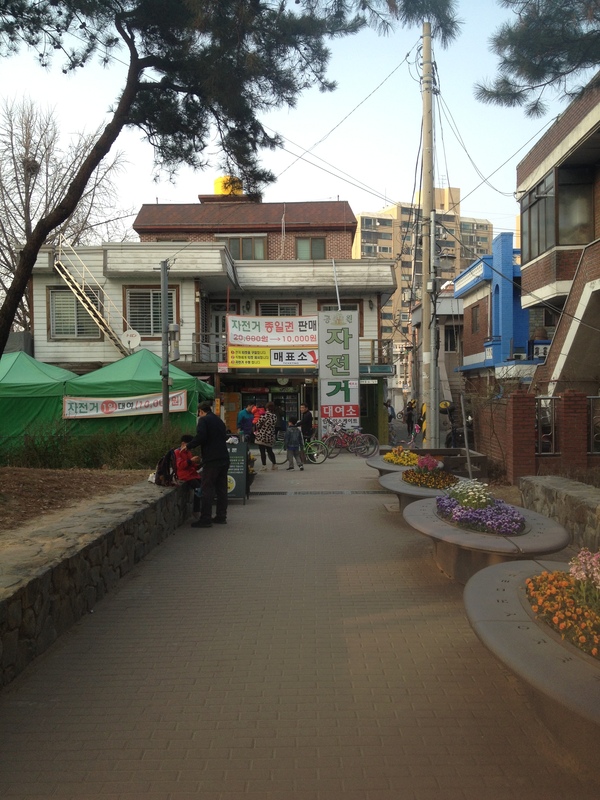 Today’s blog is about where to get a bike in Seoul, where you can ride, and how to get the bikes. 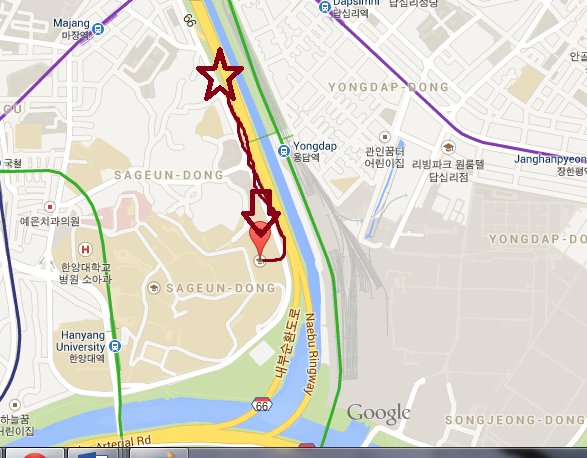 There are two spots that I explored the Seoul Forest and near Han River right by Hanyang University. 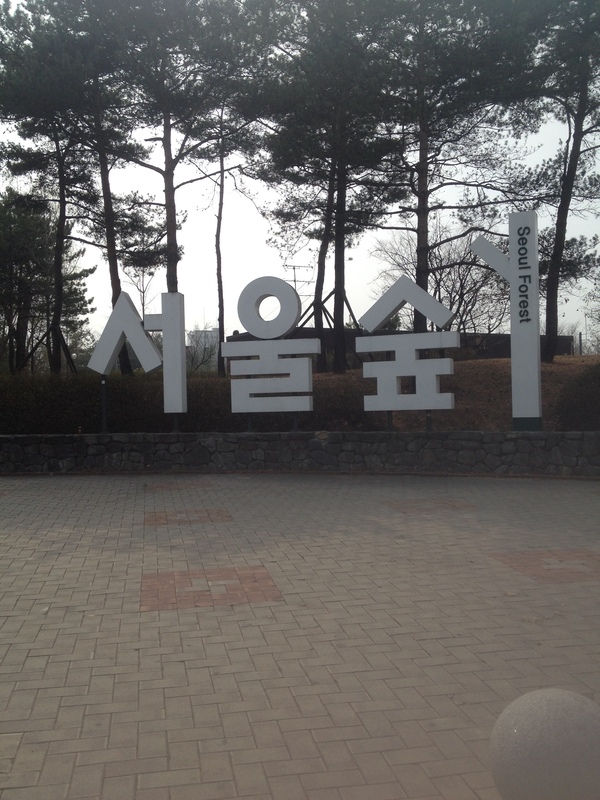 Firstly, I will talk about biking at Seoul Forest. Seoul Forest is pretty much just a giant park a lot like Central Park in New York. It is has a lot to see and even more to do. You can have a picnic, ride bikes, or even check out the butterfly garden. If you are going to ride a bike however be sure to use the thousands of square feet to your advantage. When you enter the park you will see lots of people riding around on bikes. Since there are couple of different entraces it is a little difficult to find the bikes but more than likely you will find a man handing out coupons for bikes and he will point you in the right direction. If not head towards the east end of the park near the Olympic Swimming Facility and you will see bike rentals. The bike rentals cost 3000 Won per hour. Once you get your bike you can literally go anywhere in the Park. There are lots of different museums and exhibits also there is lots of nature to see at the park. The park is very well taken care of so you will see lots of blooming flowers during spring. 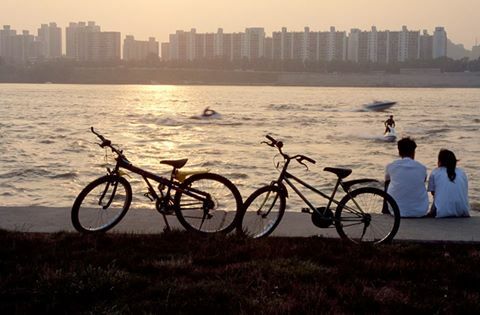 Next, I will talk about biking by the Han River. Biking by the Han River is actually really easy to do and it is free. 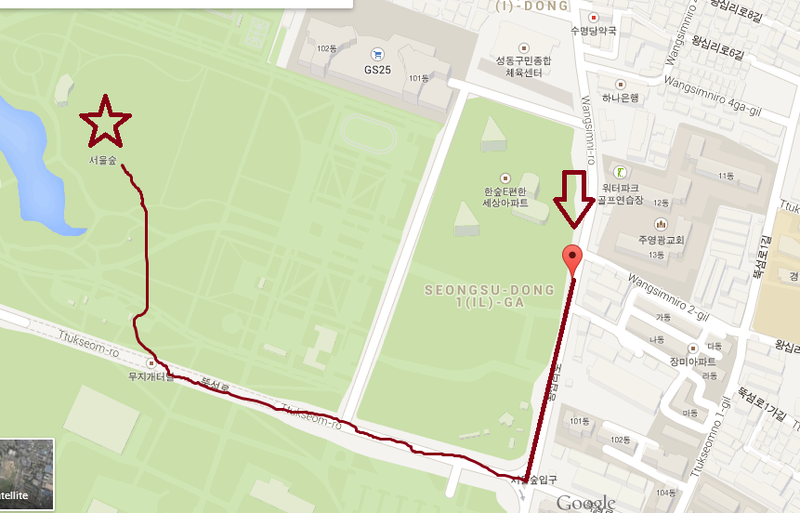 There are lots of spots to go to Near Hanyang and you can ride your bike pretty much anywhere in town. I suggest riding by the river because it is very interesting to see how Seoul was formed around such a unique river. To get to the rental facilities walk out from either the Hanyang Women’s University or the International dorms and follow the Han River to the left and after about 10 minutes you will run into the rental facilities. Once you arrive there all you have to do is sign your name and you can take the bike out for 3 hours.